Mr. Antxon López Usoz, DANOBATGROUP´s Innovation Manager, was elected President of the Association, replacing Mr. José Ignacio Torrecilla. Last April 11, Mr. Antxon López Usoz was elected President of the Spanish Manufacturers Association of machine-tools, components, tools and accessories, AFM Advanced Manufacturing Technologies, for a two year period, in the course of the Annual Members Assembly of the Association. Mr. López Usoz, an Engineer graduate by the University of Navarre and MBA by the University of Deusto, is DANOBATGROUP´S Innovation Manager, where he has developed a significant part of his professional career. Before that, among other positions, he was General Manager at Danobat Railway Systems and at the Technological Centre IK4-Ideko, as well as Advisor of Grupo Eroski. The new President of the Spanish Association also has ample experience in AFM, where he has been Advisor for the last nine years and Vice-President for the last two years. 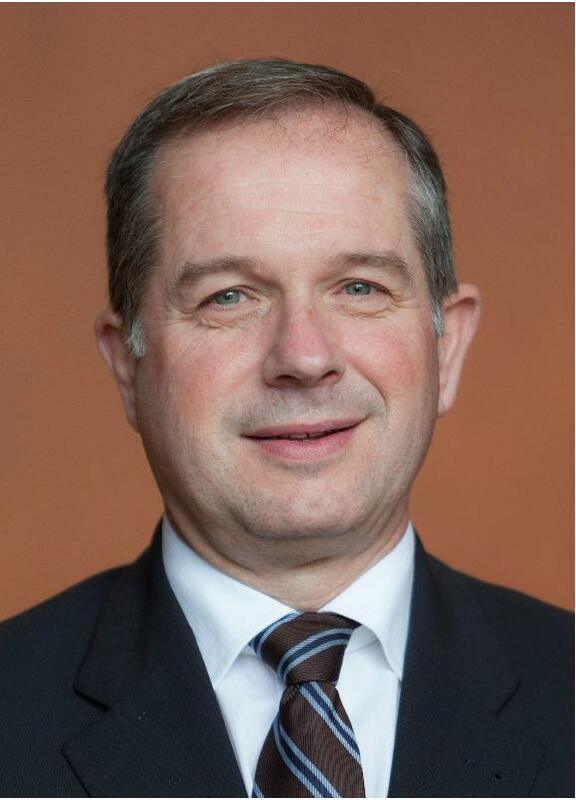 In addition, he is a board member of CECIMO, the European Manufacturers Association of the Machine Tool Industries. AFM has been a member of CECIMO since 1962. At the General Assembly of the AFM, after putting forward the results of 2013 and the plans for 2014, two papers were presented devoted to “Internet of things”. During the first presentation, Mr. Jesús Lizarraga, Project Manager and professor at the University of Mondragon, focused on the past, present and future of “Internet of things” and its relationship with daily life, while during the second presentation Mr. Guillermo Gil, Director of the Division ICT-European Software Institute of Tecnalia, focused on the application of “Internet of things” in the Industry. The Assembly, followed by a cocktail, was attended by Mr. Jon Peli Uriguen, Councillor of Innovation and Rural Development of the Provincial Council of Guipuzkoa, Mr. Alex Arriola, General Manager of SPRI, and Mr. Alfredo Etxebarria, Elgoibar Mayor, among others. Representatives of the sector also attended the Assembly: Mr. Ángel Lujua, Confebask’s Manager and the General Secretary, Ms. Nuria López de Guereñu, CEO at Elkargi, Mr. Pedro Oyarzabal, General Manager at the BEC (Bilbao Exhibition Centre), Mr. Antonio Postigo, AIMHE’s General Manager, and Ms. Mª José Aranguren, General Manager of ORKESTRA, as well as representatives of numerous companies associated to AFM.